Synopsis: J'Nay Walker is a talented singer, driven toward success by a promise she made to her late mother. One gloomy day, on the tail of some disappointing news, tragedy strikes, threatening not only to derail her plans, but to end her life. As a result, she soon finds herself on an unlikely journey, but is she ready for an unlikely love? 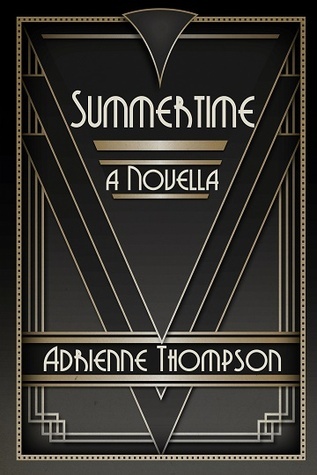 Review: The saying good things come in small packages could not be truer when it comes to Adrienne Thompson's Summertime. Set in present day Arkansas, our protagonist is a waitress at her family's restaurant by day and an aspiring songbird by night. The restaurant, started by her grandmother in the 30s, is run by her no nonsense aunt who also allows J'Nay and her cousin to live in the boarding house the same grandmother started. A freak accident at work sends J'Nay from 2015 Little Rock, Arkansas to 1930s New Orleans. Similar to The Wiz, J'Nay (now known as Junie) meets characters that look like her family and friends, but they have different names and occupations. One person in particular strikes her fancy, a young Dizzy Gillespie. So while Junie isn't quite sure how she traveled back in time and why she's there, she's grateful for every minute she spends with the young musician and her family and friends. This is my first read from Thompson and she packs a lot into 104 pages, but it's all quality. In a short time, she gives readers multi-dimensional characters, well thought out story lines and a thirst for more of her work. 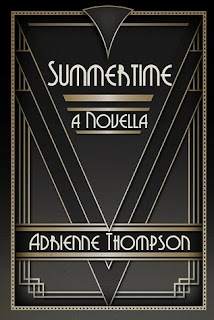 I happened to catch Summertime while it was free last week, but I would have gladly paid for it had I known I would love it as much as a I did.